Mulungu is a natural tranquilizer from the Amazon region. In Brazil, the bark from the mulungu tree has been used from time immemorial for helping you fall asleep quicker and promoting a good night’s rest. Mulungu tea is a great soporific agent. Two teaspoonful’s of chopped mulungu simmered in 250ml of water in a covered pan is enough to give you a fantastic relaxing night. Want to sleep well? 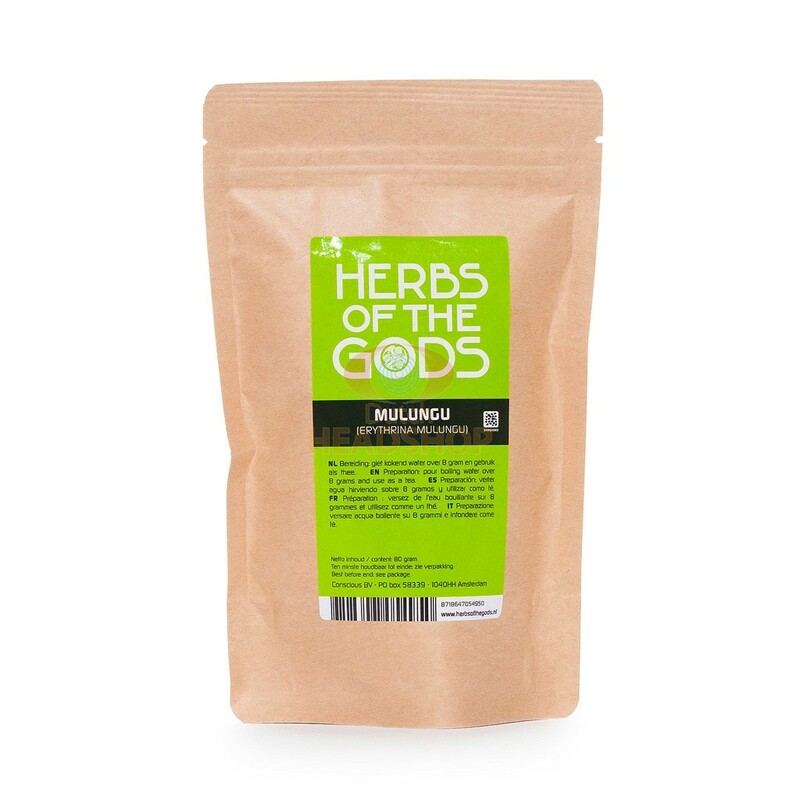 Have a cup of mulungu tea from Herbs of the Gods! This packet contains 80 grammes of chopped mulungu. We’re surprised that relaxing tea in the health food shop doesn’t contain any mulungu! 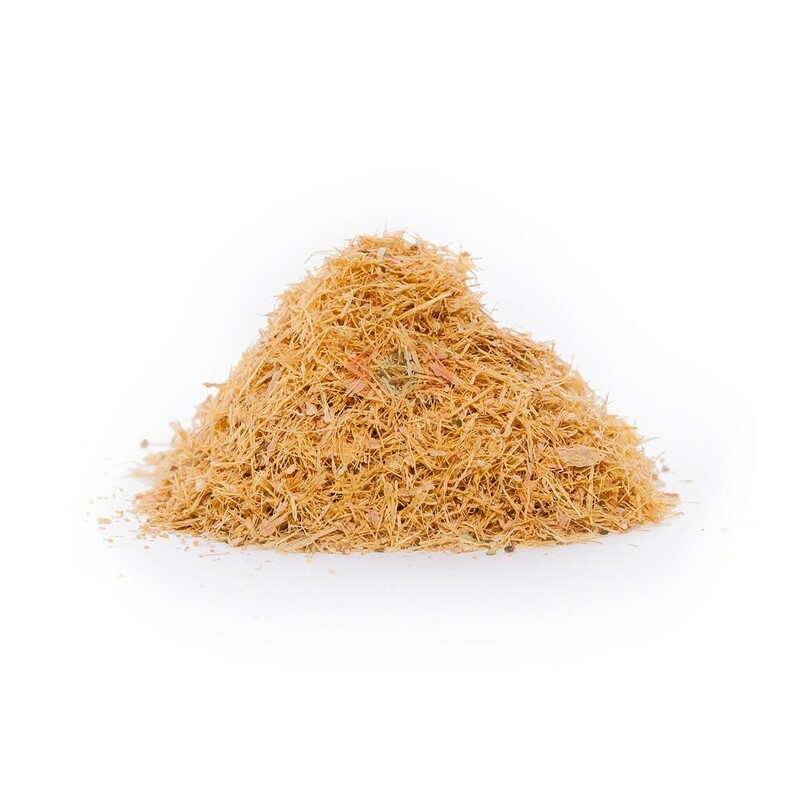 Mulungu is sleep-inducing, calming and 100% natural. The mulungu tree (Erythrina mulungu) loves the swampy ground which is common in the Amazon region. The tree grows up to 14 metres in height and produces many branches. The tree’s bark is harvested for making a relaxant. The bark contains a strong, naturally calming substance. Although mulungu has been in use for centuries in Brazil, the leaves have not been known in Europe for very long. Within half an hour of taking mulungu tea you will begin to feel pleasantly lethargic. Your thoughts will recede into the background and any worries will be reduced before going to sleep. Mulungu is then, in the first place, a sleep inducer but it is also used for other purposes. Some people use mulungu in combination with cannabis (pure) to reduce the craving for cigarettes. You can also lower stress with the herb at a lower dose (1 teaspoon). A higher dose (6+ teaspoons) will have an adverse effect. Although physically very relaxing, you can expect to have a restless night. 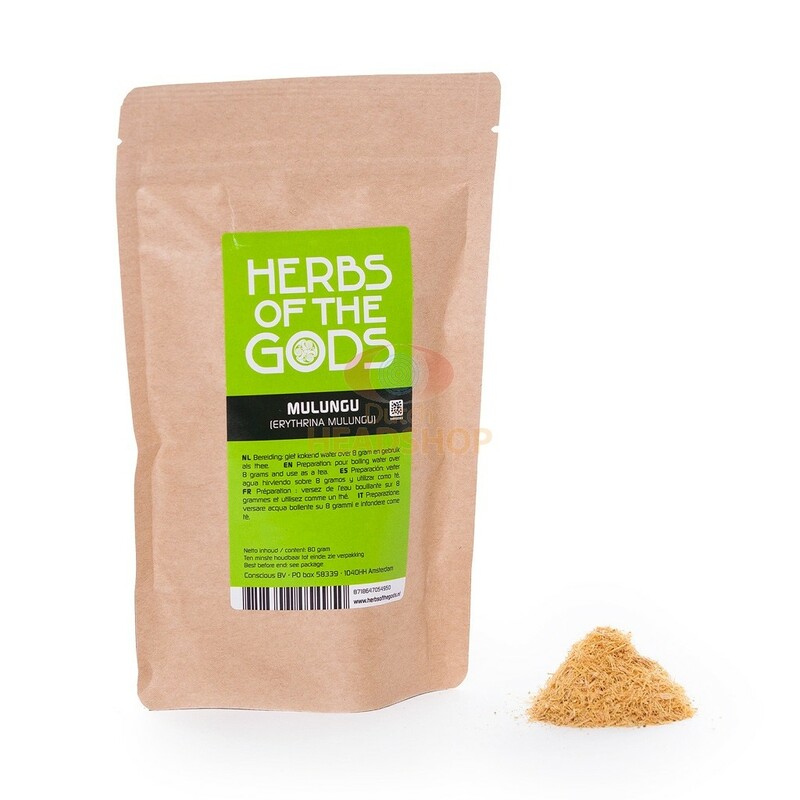 It might make you have a lot of dreams which is why mulungu is also used as a dream herb. Shamans add mulungu to the hallucinogenic drink ayahuasca to make a trip more relaxed. Please note: Mulungu has a narcotic effect so don’t drive after taking it! Add 3 heaped teaspoonful's to a small pan of water that is just off the boil. Place a lid on the pan. It’s important to cover the pan. It is not recommended to pour hot water on like you would with a teabag. Leave it to steep for 10 minutes. Filter out the bark from the tea. Mulungu tastes slightly of aniseed. It’s best compared with slippery elm. Not really an unpleasant taste but certainly a pronounced one. 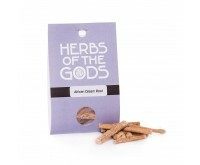 Herbs of the Gods collects and sends out special herbs from all corners of the world. The overgrown psychedelic herb garden of Herbs of the Gods contains natural energy generators, aphrodisiacs, psychedelics and herbs for lucid dreams. From ayahuasca to zacatechichi. 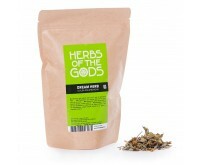 The garden was created in 1999 and the quality of the herbs and extracts make Herbs of the Gods unrivaled in this segment. The chopped mulungu from Herbs of the gods is high quality. We wish you a good night’s rest with this exciting herb from the Amazon! Order the product only if it is legal in the country where you live.